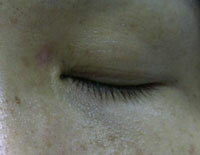 Many people call those pigmented growth on the skin as moles. Fair skin individuals, tend to have more number of moles on their body, partly because they are more liable to sun damage. 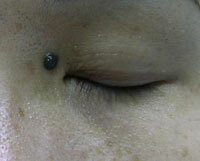 Most of the time they are benign moles and can be removed for cosmetic reason. Occasionally they are, or can turn cancers. When there is uncertainty regarding the nature, it should not be removed with a laser, but rather it should be cut out whole and sent for laboratory examination. Junctional: The naevus cells are in the epidermal-dermal junction. They appear black and are flat. 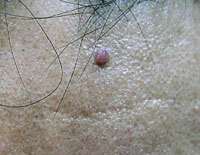 Intradermal: The naevus cells descend into the deep dermis, and the naevus loses the black colour gradually while becoming more and more raised. With time it appears as a large skin-coloured dome-shaped lump. Compound: Somewhat in the middle between the above two. The are slightly raised with variable degree of black pigment. 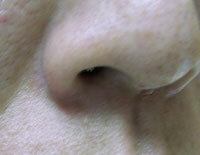 Blue naevus: it is blue in colour as the melanocytes are very deep in the dermis. 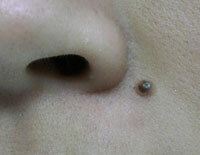 These benign moles were once traditionally cut out by the physicians. This required sutures and there would be a scar, which can be cosmetically very unacceptable, particularly when on the face. This method should really not be used for cosmetic improvement. You can now have your moles removed with 2 different lasers : a pigment laser and a CO2 laser, with far more superior cosmetic result. A Q-switched ND-YAG 532nm or 1064 nm is used. The laser is absorbed by the melanin in the naevus, and the heat shatters the melanin into smaller fragments, which are removed internally by cells called macrophages. As the pigment load is much higher than, for example freckles, this usually requires multiple sessions, and the black pigment is removed only gradually, with a lighter appearance after each treatment. 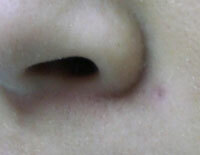 This method is used mainly on junctional naevi, which are flat, and is recommended if you have many of these. When you have only a few, say less than 3 - 4, with small sizes, it is much more efficient to vaporise them with a CO2 laser in one single session, and let the small wounds heal on their own. Since the compound and intra-dermal naevi are elevated, in order to achieve good cosmetic results, they need to be re-surfaced to the same level as surrounding skin, in addition to removing the black pigment. As the CO2 laser is absorbed by the water content and heat up the tissue, it burns and vaporises the skin, layer by layer. 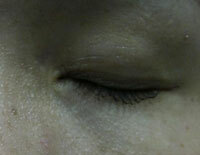 Therefore it can scrap the lump gradually down to a flat level. The black pigment is vaporised altogether at the same time. Sometimes all the black pigment is within the elevated part, and no deeper than the skin level, and the wound is very shallow. 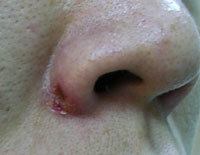 Usually it is not the case, and we need to dig deeper into the skin, leaving a wound like a small hole. 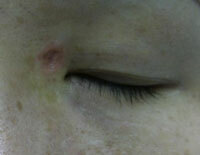 If the pigment is too deep, then we need to use the pigment laser on this wound too after the CO2 laser. 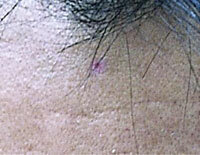 The wound, either flat or as a small hole, will heal up after a few days, usually about a week. 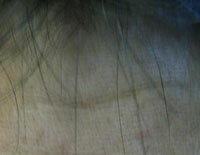 There may be a light reddish-brown mark after, but it will almost for sure fade away gradually, in 1 - 3 months, although sometimes it can take longer.